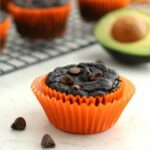 Chocolate Zucchini Muffins - Frugal Mom Eh! 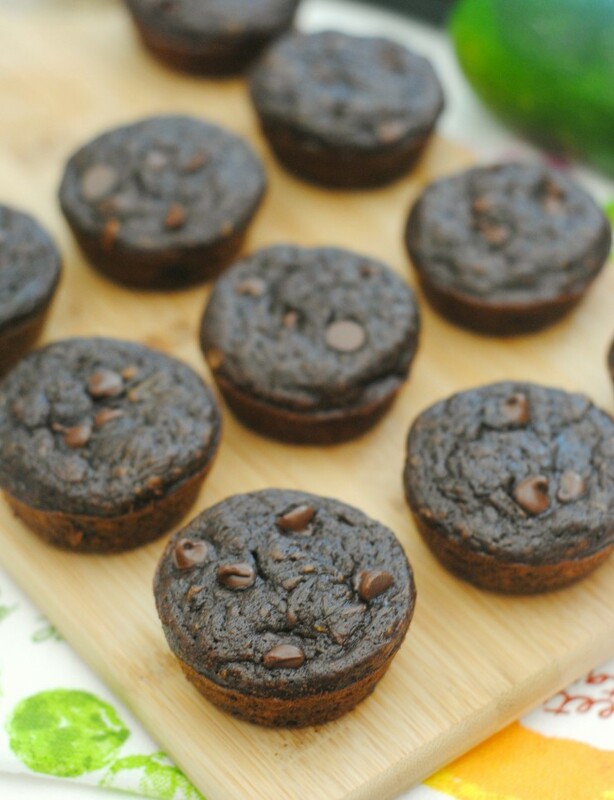 These homemade chocolate zucchini muffins are as delicious as they are healthy and oh, so easy to make. I also love that my children don’t realize they even have veggies in them and always ask for seconds. 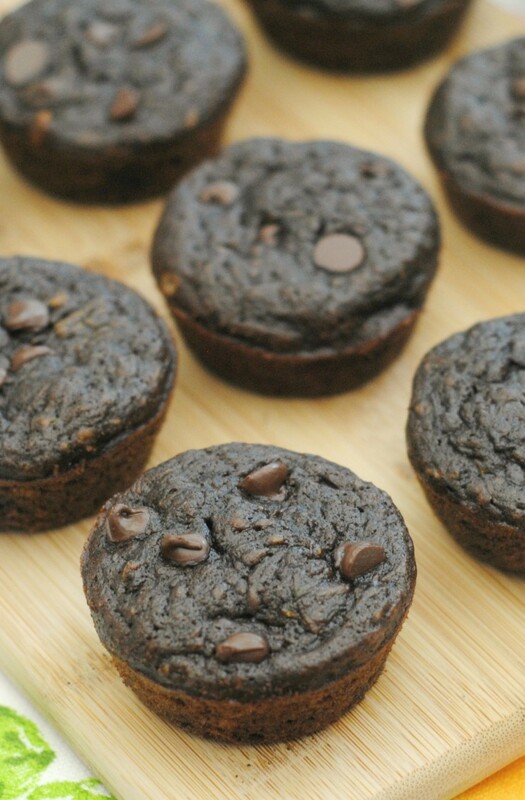 They think they are brownie muffins so it’s a win-win for me. 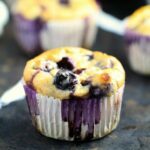 Preheat the oven to 400 degrees and spray two standard muffin tins with non-stick cooking spray or line with cupcake liners. Combine the eggs, applesauce, sugar, brown sugar and shredded zucchini. Slowly fold in the dry ingredients and the chocolate chips. Fill each muffin well about 3/4 full. 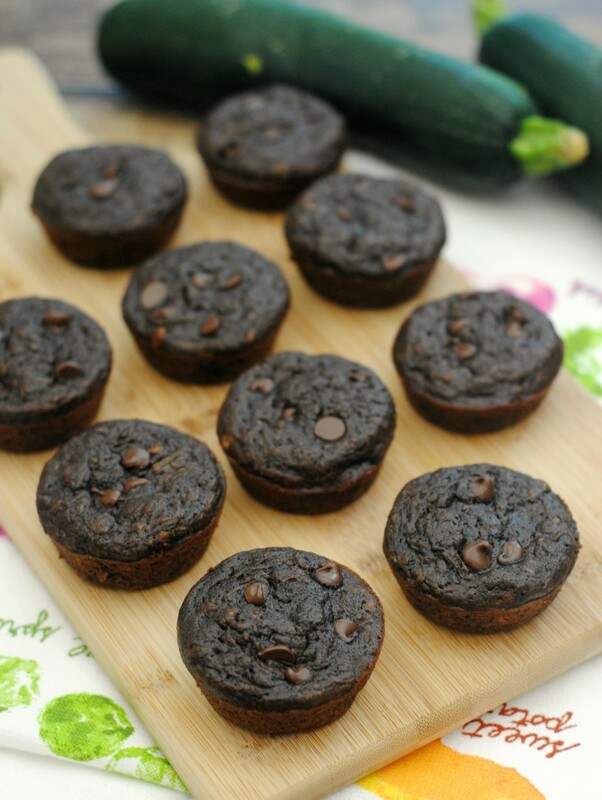 Now this is one way I could get zucchini into my family, going to make these for sure! oh yes! This is the recipe for me! I LOVE zucchini!!!!! Thank you for all the wonderful recipes. I print them up and keep them in a binder. I was gifted with a large zucchini and this reciipe is the perfect fit for me. 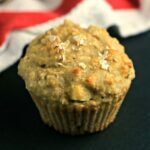 It sounds easy to make and delicious to eat. Thank you so much. 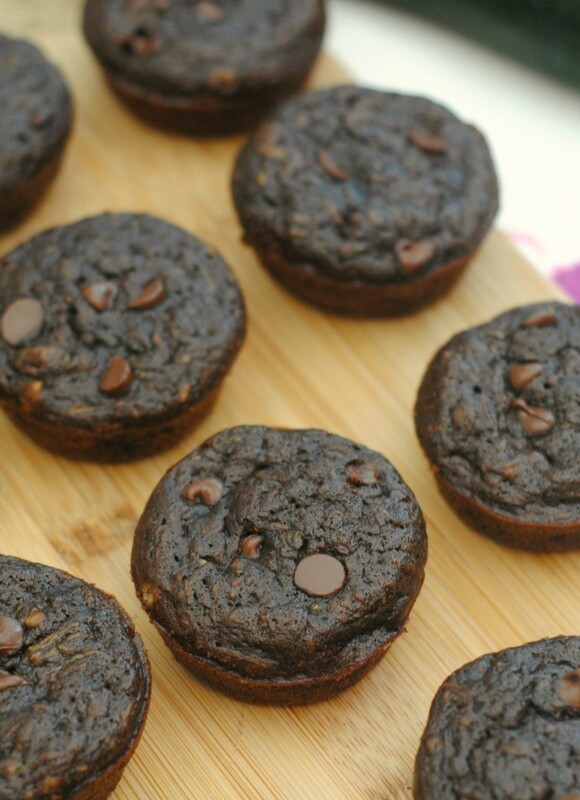 Are these mini muffins or regular sized muffins? Standard sized. sorry there was a typo in the recipe, it was supposed to say two 12 cup muffin tins. Should you squeeze out any juice from the shredded zucchini? Mine too! Followed the recipe exactly and they are way too cocoa-y and look horrible. Wondering if it was supposed to say 1/4 cup of cocoa…. These didn’t come out well. I thought they would be nice and moist but they were dry and just not good.